If your company operates within a Service Level Agreement (SLA) structure. 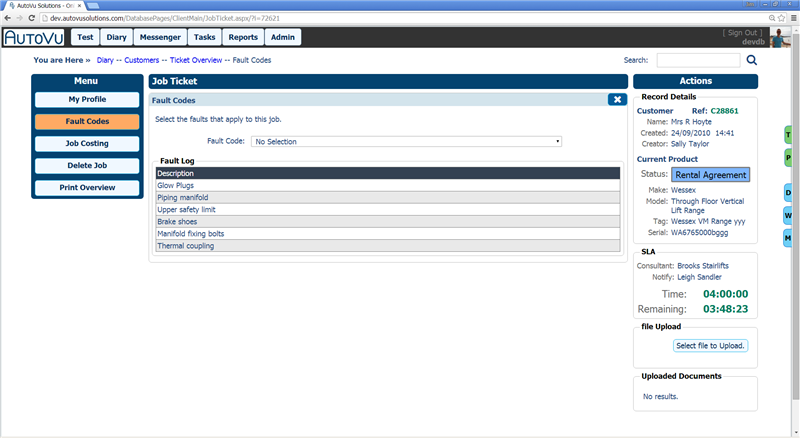 The ability to set timed response and notification of failure is built in to My Field CRM. Alerts can be sent to a nominated person of potential failures to comply. Set up a Service Level Agreement with a main contractor which will include the terms of the agreement, maximum response time and a nominated person within your establishment that will receive notifications. 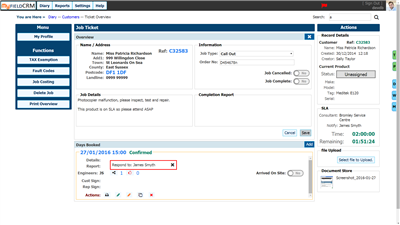 Each new job ticket that is raised for a job that the Main Contractor has listed with you will invoke a timed response mechanism that will trigger the alerts as the completion time approaches. Once a service level agreement has been set with a main contractor and a nominated person specified. Each job ticket produced will automatically begin counting down. Should the time allocation become close to expiry, an early reminder notification can be sent to the nominated person warning of potential failure to comply. Closing the job ticket or marking as 'Arrived on Site' will stop the timer and prevent further notifications. 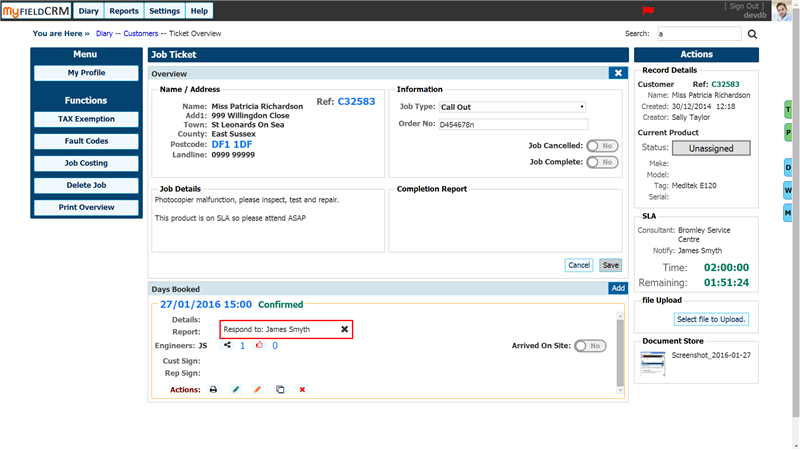 Job Tickets and engineer site visits are grouped within each customer record, Send notifications to your site technicians and receive a return 'Thumbs Up' notification to say they have received the job. Our field service management module allows you to easily schedule and dispatch field workers, assign jobs, print job tickets or send notifications direct to your technicians. 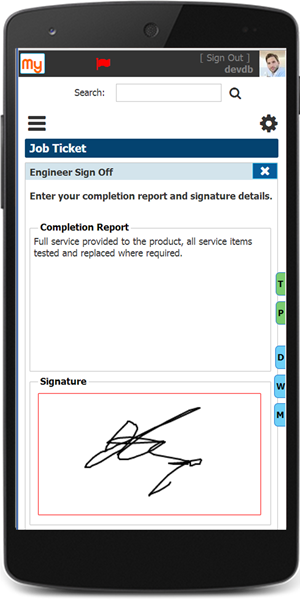 By utilising mobile devices details can be accessed direct allowing each technician the ability to record faults or site details, and capture customer signature on completion adding location time and date of every job. By capturing the customer and service engineers signature, these are automatically embedded within a PDF document which can be sent to your customer for their records, or if you are a sub-contractor, the main contractor may require these prior to paying your invoice. If your business works to deadlines set by your customer, utilise the SLA function built right in to AutoVu. It will allow you to set timed deadlines individually for each customer. Should the time expire before the engineer attends, your nominated person will get a kindly alert! Price every job with a full breakdown of costs. This can be done at any stage prior to Invoicing. 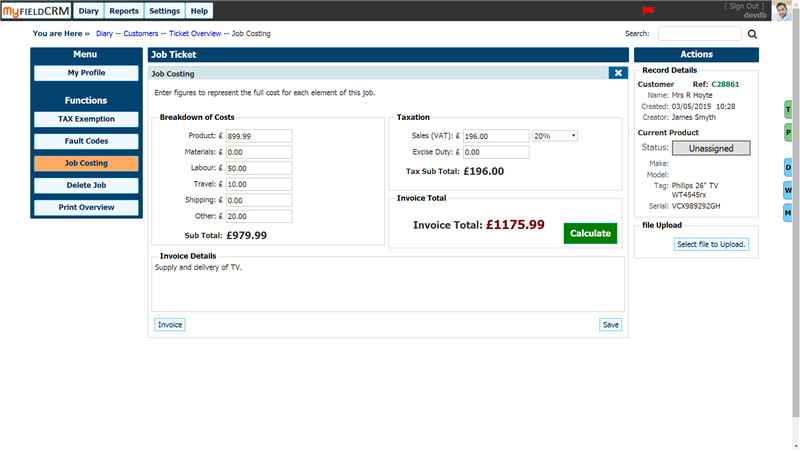 You can price any job individually and even leave additional notes for inclusion on the final Invoice. Record a log of every fault that occurs on your products. 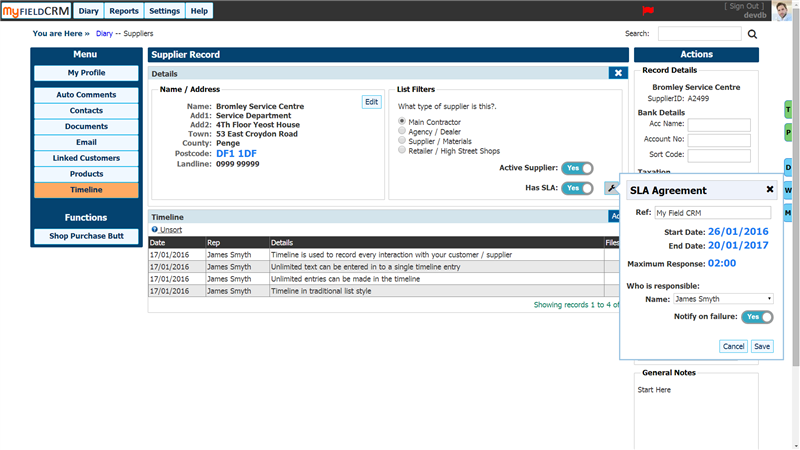 Your service technicians can pick from a list of common faults previously added using our custom picklists module. This can be updated and amended at any time to include new faults or remove those that are no longer needed.